We keep the development of Mopak family and our understanding open to innovation, being aware of our social responsibility, with the importance we place on education and with all of our employees. Based upon our responsibilities towards the environment, we aim planting trees, renew our forests, reducing pollution and carrying our products into future by caring about the health of the environment with all of our activity. We keep our responsibility towards society among our top priorities. In particular, we know well the benefits of the contributions to be made in education, to the country’s economy and social life. 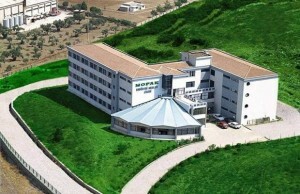 MOPAK Paper Industrial Vocational High School that we built in Izmir Kemalpaşa in 1997 and donated to the Ministry of Education, continues its presence in the field of education as the first public school which is established with the appropriate equipment hardware in Turkey and which is planning to raise workforce that is expert in the paper and paper processing industry and well trained.